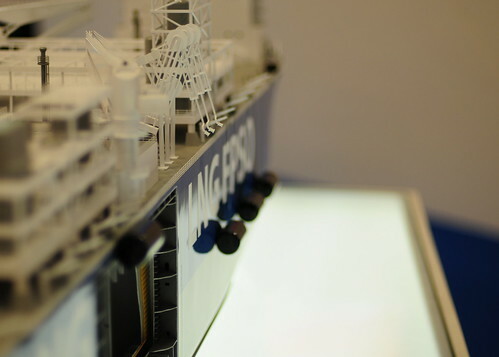 Pioneers of the future of the LNG business have been showing off their vessels and floating plants. 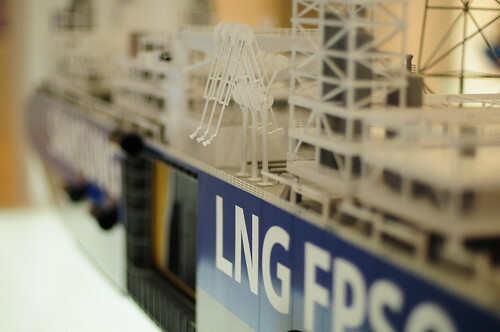 They’re presenting new technology in what will be the new world of gas. Our technology for Loading Arms is second to none – so companies looking for high safety and reliability come to us. 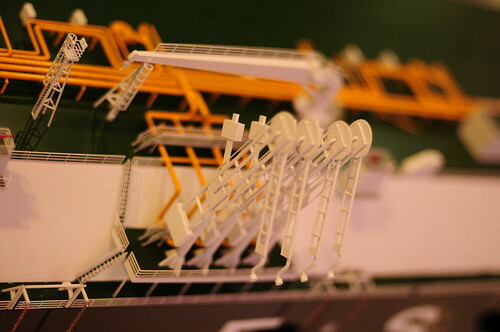 It was a great feeling to see the models of these companies with our loading arms included. These have all been ordered and the vessels are being built all over the world. I took these shots for our Marketing department in France. They will incorporate them into presentations etc. I like the detail so I’m sharing them with you. intresting, what are they used for ?? Generally, to deliver petroleum products into the tankers (like a big tap). 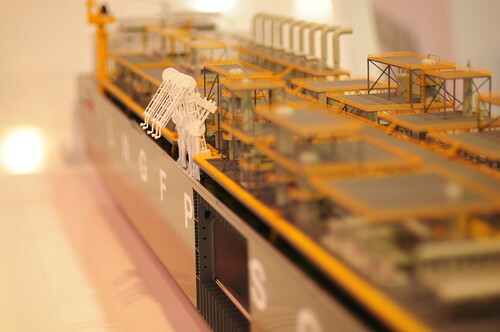 Specifically in the above models, to deliver Liquified Natural Gas LNG between vessels and gas plants. 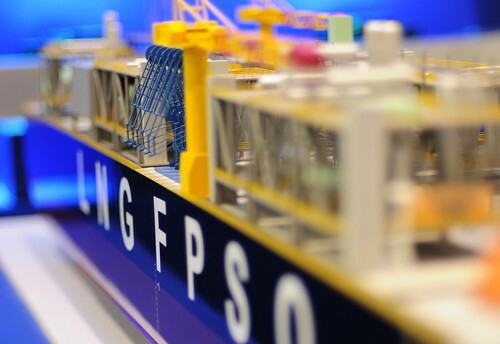 I was told – by the Korean Ambassador to Qatar – that S.Korea has the edge on gas transport. Do you agree? Wow! 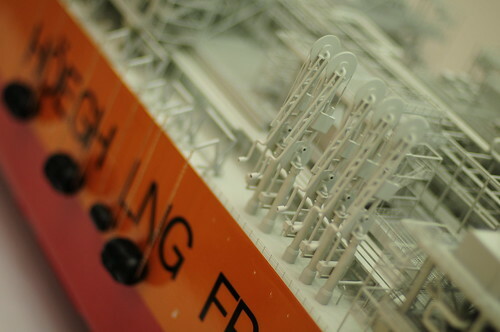 Those are great shots and extremely detailed models!!! That’s true – with a few ship-building companies taking the lead. Thanks. I used a fixed lens (50mm) for these.